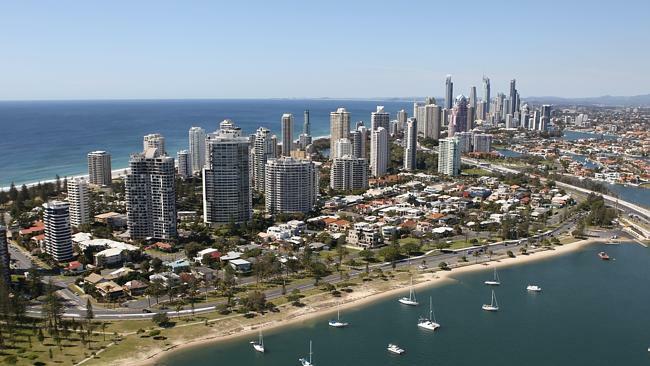 THE Gold Coast will double its population to 1.2 million people by 2050, and the city must be willing to hunt down big business to make the most of the growth — and that’s exactly what demographer Bernard Salt plans to do. 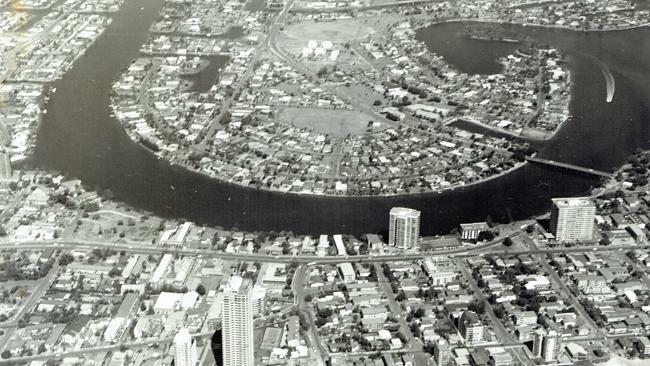 The Gold Coast has come a long way … and it has further to go yet. Armed with remarkable new data on the nation’s fastest-growing city, Mr Salt is embarking on national and international tours to sell the Coast as the future capital of entrepreneurism, capitalising on our ambitious and energetic population. He said the city had the potential to become a “start-up city” and that there should be festivals celebrating the ingrained have-a-go spirit of its people. Speaking at a sold-out TSS breakfast this morning, Mr Salt will present a Beyond the Horizon report, funded by the council, Regional Development Australia and KPMG, which reveals the Gold Coast will grow from a place that didn’t exist in 1954 Census data to a thriving metropolis, its growth having far outstripped every capital city in Australia. Gold Coast skyline in 2014. “I think that creative entrepreneurialism is something that the city needs to own,” he said. “The opportunity by the middle of the century is to create a city that is vibrant, that has opportunity in employment behind leisure, construction and retirement … into the knowledge industries, specifically health and education industries. “That means we need to invest in our universities, in our hospitals. Mr Salt said Census data showed that the Gold Coast was more entrepreneurial than any other region in the nation, with more than 20 per cent of the workforce self-employed. “There is an intrinsic, gut, cultural connectivity to can-doism, entrepreneurism, and I think that you need to own that,” he said. 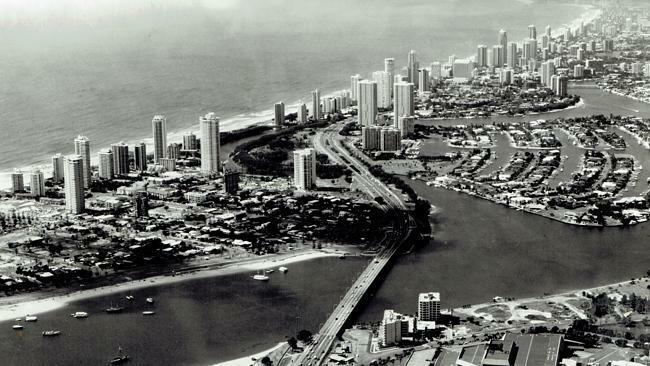 Surfers Paradise and Isle of Capri in 1980. Strategic planning by the City of Gold Coast shows that the additional population will be accommodated largely within the existing urban footprint but with some greenfields growth spilling into the corridor between Mudgeeraba to Pimpama. Mr Salt said the city would retain its long geography and four regional centres — Coomera, Southport, Broadbeach and Robina.